William Bole is an American journalist who writes about ideas, particularly as they stir in social movements and take shape in the lives of extraordinary people. Much of his writing is situated on the borders between religion, ethics, politics, and intellectual life. He also crosses regularly into other fields of interest, especially education and management. His articles have appeared in publications ranging from the Washington Post and Los Angeles Times to Commonweal, America, Christian Century, and Utne Reader. His work has been cited by the New York Times, USA Today, Publishers Weekly, and other outlets. The Forbes blog “Leading with Ideas” is written by him and Andy Boynton, dean of the Carroll School of Management at Boston College (where Bole is also a contributing writer at Boston College Magazine). His coauthored books have dealt with such paired topics as religion and organized labor, forgiveness and international conflict, faith and doubt, and ideas and business. His coauthors have included a retired American ambassador, a PBS news anchor, two activist priests, and two management gurus. The books have illustrated his approach to limning ideas with the tools of journalism and narrative nonfiction. Among other projects, he is now at work on his first book undertaken as a sole author—a group biography of some well-known religious figures who coalesced during the civil rights and antiwar movements of the 1960s. Aside from his journalism, Bole has served as an editorial consultant, producing books and other publications on behalf of institutions. These have been mostly educational and other nonprofit institutions such as Boston College, including its Center for Corporate Citizenship, Georgetown University, the Educational Broadcasting Corporation (Thirteen/WNET), and the U.S. Jesuit Conference. Since the fall 2006 semester he has served as Editorial Consultant at Boston College. In addition, he has worked as a research scholar for university think tanks and foundation study projects. 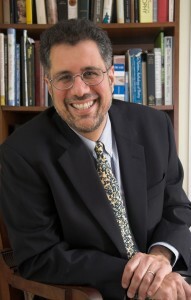 These stints have included eight years as a nonresident research fellow of the Woodstock Theological Center at Georgetown University (2000-2007); more recently he served in the same capacity at Boston College’s Winston Center for Leadership and Ethics and as a research associate of the IMD (International Institute for Management Education) in Lausanne, Switzerland. He is currently a Senior Researcher at the Carroll School of Management at Boston College. Bole has also produced studies on religion and American public life for the Pew Charitable Trusts and Commonweal Foundation; he has done other research and writing for the Lilly Endowment, the Church in the 21st Century Center at Boston College, and the Center for Applied Research in the Apostolate at Georgetown, along with several other foundations and research centers. Born and raised in Brooklyn, he lives in Andover, Massachusetts, with his wife, Carol Coyne, and their two children, Cecilia and Patrick.